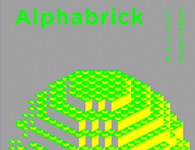 Alphabrick reflects about the ways of building worlds of fiction relying on the ones from G. Lucas, J. R. R. Tolkien and H. P. Lovecraft. Concretely the phenomenon of those additions of “bricks” is pictured by the artworks from John Howe and Benjamin Carré, as well as by the dioramas from LEGO®. 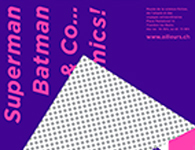 This exhibition explores the tradition of superheroes, as it is perceived, taken over and distorted by five contemporary artists working with five classical artistic techniques (painting, sculpting, photography, cutting, inclusion). 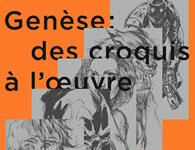 In this exhibition you will discover the work of the world-famous French artist Aleksi Briclot. Moreover, you will also be able to witness the emergence of a “new art”: the digital art. 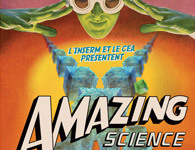 This exhibition – born of the partnership between INSERM, CEA and the Maison d’Ailleurs – explores unknown territories on the frontier of pulps culture, science fiction and contemporary scientific research.